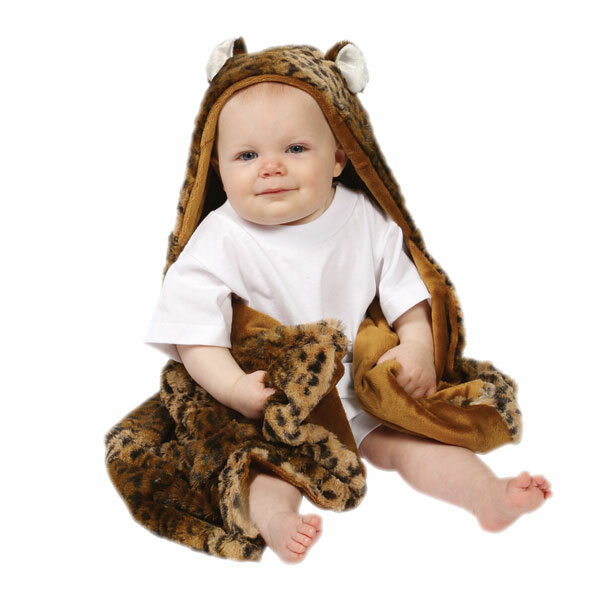 Make bedtime cuter than ever for your little one in this animal-themed throw. 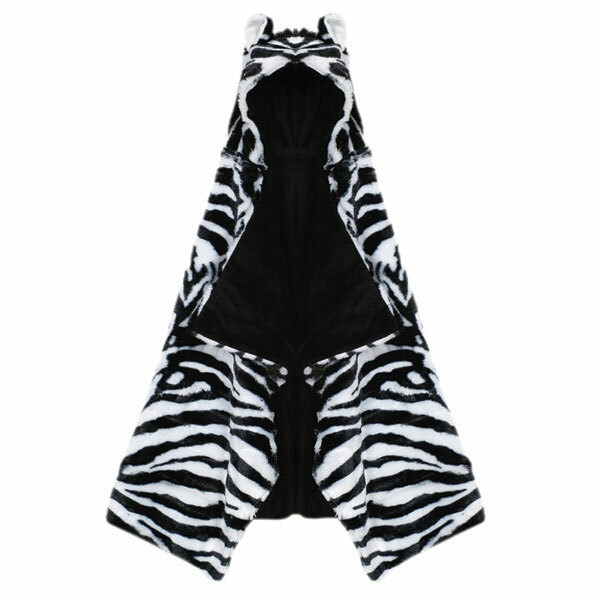 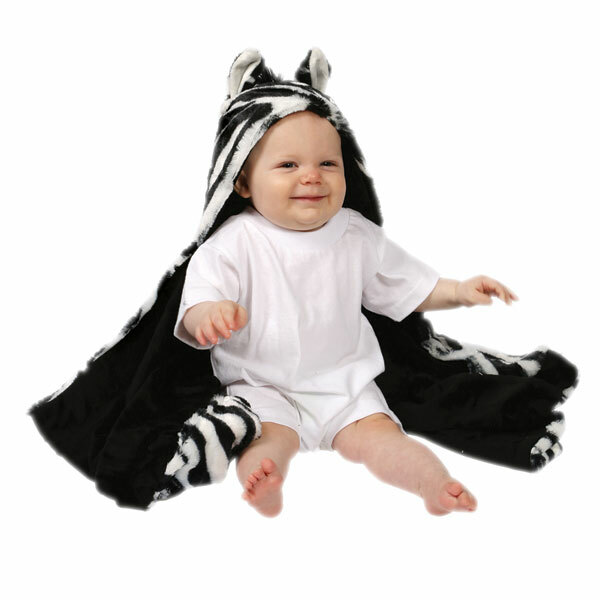 Part blanket, part costume, your child will love pulling on this zebra hood over his or her head for some adorable snuggling. 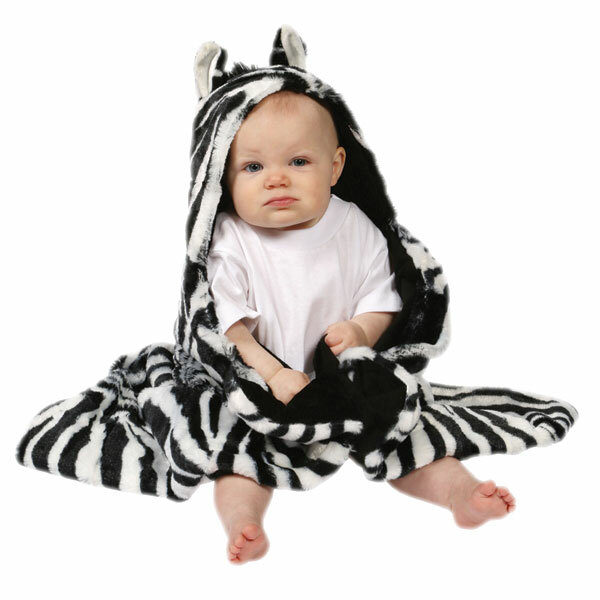 Be careful, kids may want to wear these stripes everywhere! 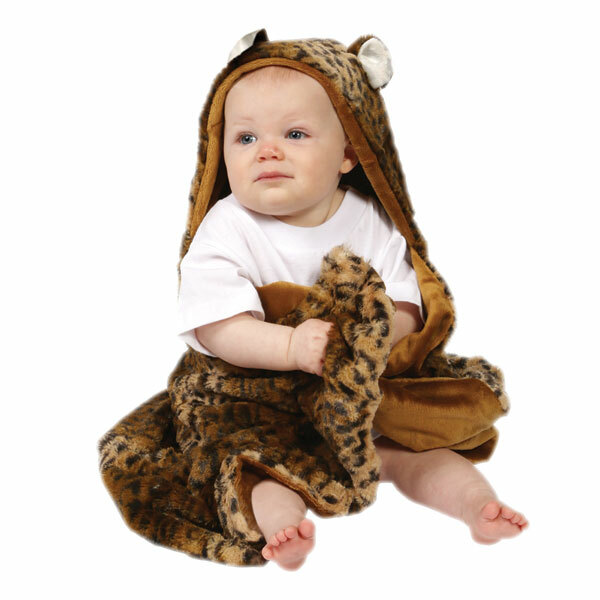 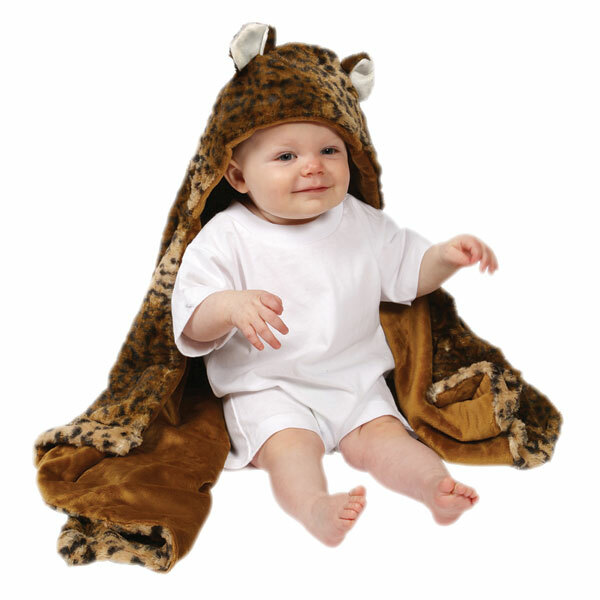 Made from 100% soft polyester faux fur, 36" x 24".